Benefits of Commercial Bin Cleaning. The Bin Cleaning Company Ltd offers a commercial cleaning service for the UK (inc. Northern Ireland). This on-site service encompasses industry best practice as recommended by the Environment Agency. The service that BCC Ltd provides enables the waste containers to be cleaned, disinfected and deodorised on location within the normal collection service. A full route plan is agreed with all parties with feedback provided to the client as required. As the requirement for waste container cleaning continues to grow The Bin Cleaning Company Ltd can offer a managed solution to support waste management companies as well as providing a cleaning program for bottle banks, recycling containers and street waste bins. BCC Ltd already has existing contracts in association with local councils. The cleaning process is the same for all sizes of waste container from the domestic size wheelie bin to larger 1100 and steel 1280 litre commercial bins used by trade and industry. BCC Ltd’s cleaning system operates above the minimum standards that are required by the Environment Agency for England and Wales and S.E.P.A. (Scottish Environmental Protection Agency) for Scotland. Our high standards of workmanship and start to finish job completion mean we can offer tailored flexible cleaning contracts for all (REL) containers with cost effective packages. 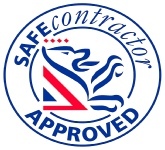 We are fully insured; risks assessed and work in compliance ISO9001:2008.